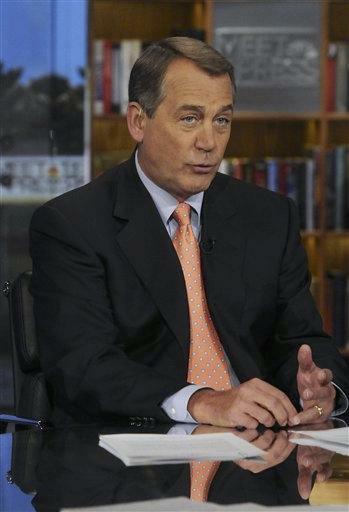 WASHINGTON (AP) - House Speaker John Boehner says he doesn't see a front-runner so far in the large field of potential GOP candidates for the White House in 2012. He says he's never seen a more wide-open race for his party's nomination. He tells NBC's "Meet the Press" that Republicans need to find someone who can paint a vision of the future that includes a smaller, less costly and more accountable government. GOP Sen. Lindsey Graham of South Carolina says he's looking for "the most conservative person who is electable" - and that person hasn't emerged. He says former Massachusetts Gov. Mitt Romney probably is the front-runner among traditional candidates. Graham tells CNN's "State of the Union" that the GOP has "a tall task," but that he thinks President Barack Obama is beatable.